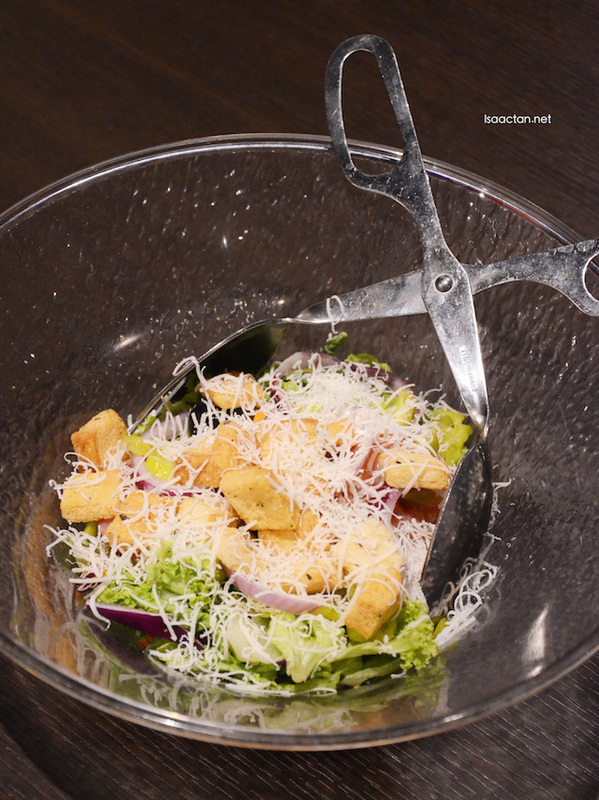 Fancy some really good Italian cuisine at a prominent mall in town? Then you must try out the new Olive Garden Italian Kitchen at Midvalley Megamall. Serving a wide selection of sumptuous Italian dishes made with fresh ingredients focusing on flavour and quality, I was there a couple of weeks back. Check out what we had at Olive Garden below. 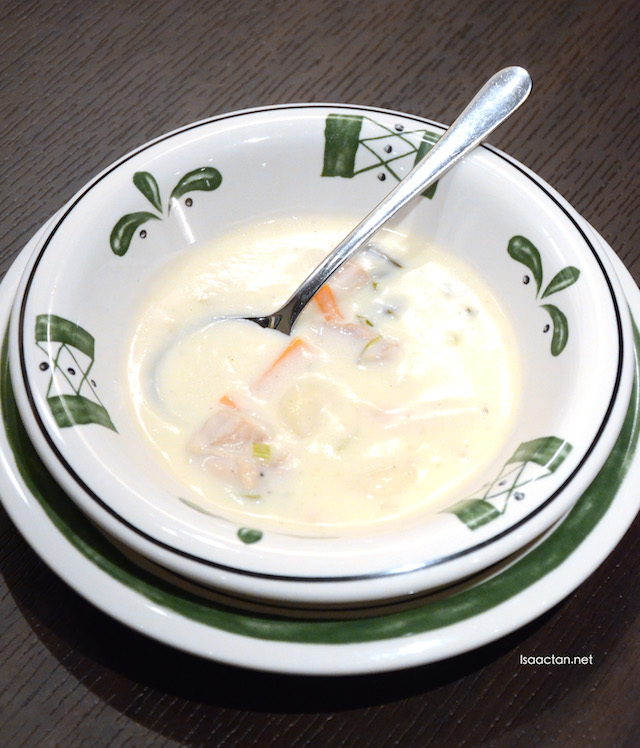 Olive Garden pride themselves with their food, as well as the warmness of their staff. While keeping with modern day Italian traditions, their menu provide more choices, and better variety. Olive Garden is brought to Malaysia by local Secret Recipe F&B group, renowned for its award-winning cakes and fusion culinary delights. What got me excited was the fact that every customer has a choice of unlimited soup of the day, made from scratch, or their choice of house salad the moment they order any entree dishes. Yes, it's unlimited, meaning FREE refills! Love the soup, which contain a generous portion of chicken meat, thick texture and flavourful taste. The House salad that we had that evening came with lots of cheese, crouton, and veg. 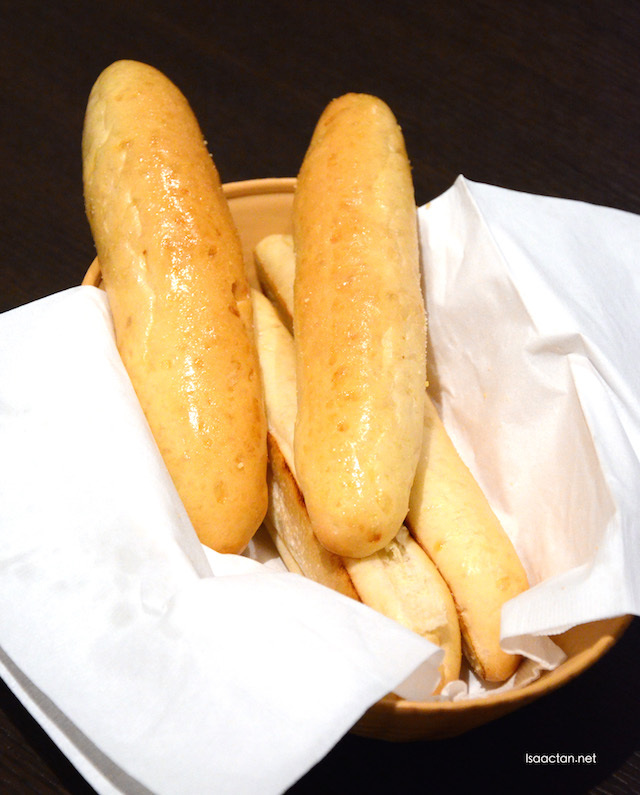 Oh did I mention, they have these delectable complimentary breadsticks as well, with every entree ordered. 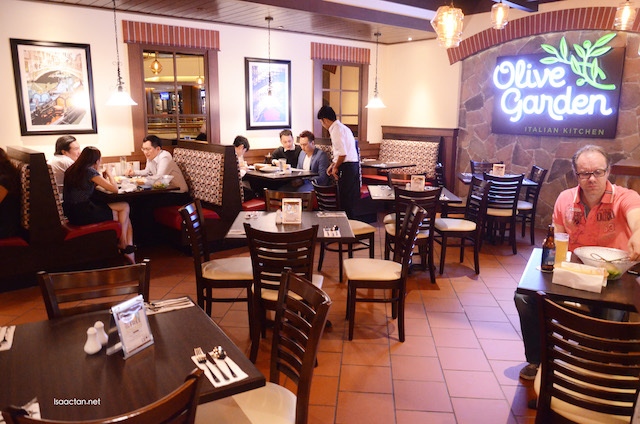 Olive Garden is a relatively new outlet in Midvalley Megamall, opening for operations in May 2015. They have built up a steady stream of diners at all hours though, most who come for a hearty Italian meal. Since there were only two of us that evening, we couldn't really order a lot, hence we had to be satisfied with some pizza, spaghetti, meaty dishes, and my all-time favourite steak. For sharing, as we didn't know which antipasti to order, we went ahead to order the Sampler Italiano which came in a rather huge platter. 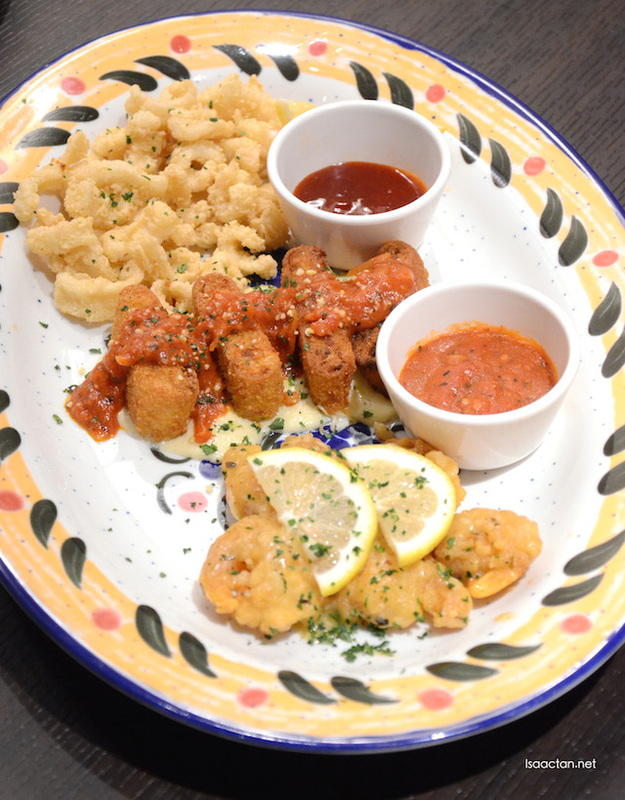 On the platter, we had three different sampling dish, the calamari, lasagna fritta and shrimp scampi fritta. You can choose to either have the classic or spicy version. We choose classic. Love how fresh the shrimp is, going well with the accompanying sauce. The Shrimp Scampi Fritta is lighly breaded and fried, tossed with garlic and lemon butter sauce, giving out that savoury yummy flavour. The lasagna fritta is fried and served over alfredo, topped with parmesan and homemade marinara. A meal out at an Italian restaurant can never be complete without a taste of their pizza. Here at Olive Garden, they serve these freshly baked flatbread pizza, with really thin crunchy crust, just the way I like it. We went for the Sicilian Pineapple pizza which had chicken ham, roasted red peppers, pineapple, on homemade marinara with a blend of Italian cheeses. They did not skimp on the cheese, as it was literally overflowing with soft cheese. Another hearty dish, the Tour of Italy consist of three classics all on one plate. 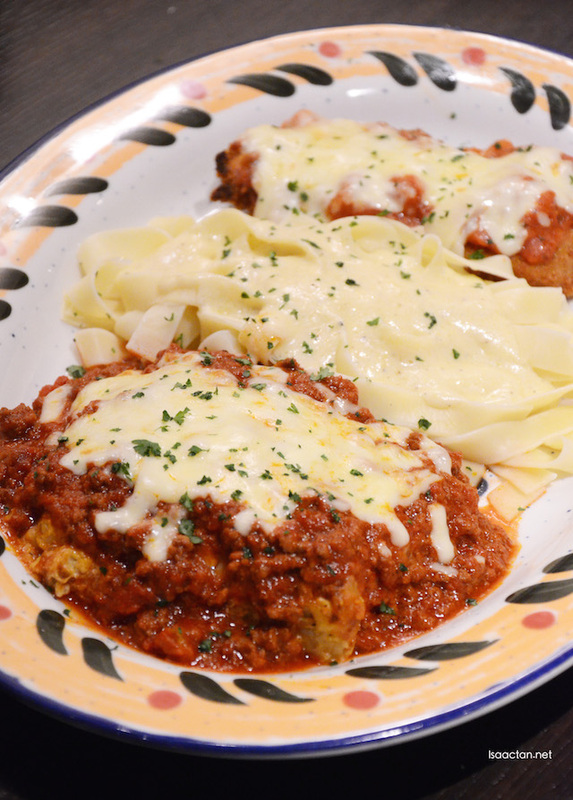 We had the delectable Chicken Parmigiana, Lasagna, and Fettucine Alfredo on the platter meant to be shared. Parmesan breaded chicken thigh made up the Chicken Parmigiana dish, fried and topped with marinara sauce and mozzarella cheese. Served with spaghetti, it's a must try. The lasagna and fettucine alfredo weren't lightweights, prepared fresh daily to be served. My personal favourite, one which I did not hesitate to order off the menu once I saw it. 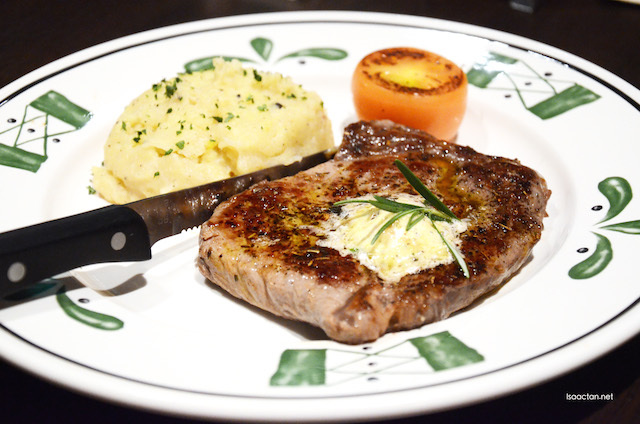 200gm ribeye topped with butter and Italian herbs, served with garlic mashed potatoes, what more can one ask for. Love how the Steak Toscano tasted in my mouth, literally melting with each mouthful and munch. 200gm did not seem like a lot then. We ended our very filling meal at Olive Garden Italian Kitchen with some really good cakes. 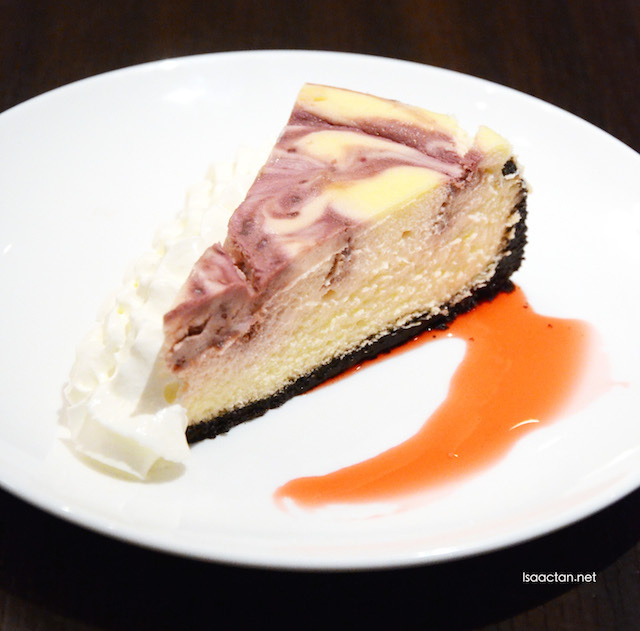 It was a toss-up between the Tiramisu and the White Chocolate Raspberry Cheesecake on which tasted better. 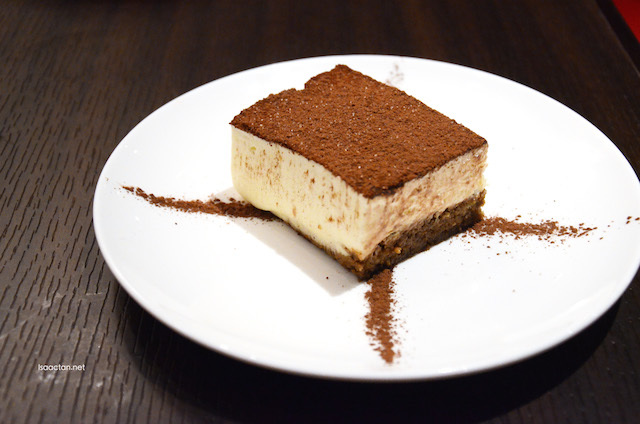 The espresso soaked tiramisu topped with creamy mascarpone custard and sweet cocoa had to be one of the better ones I've had in a while. Do check out Olive Garden Italian Kitchen at Midvalley Megamall the next time you are in the vicinity and craving for some nice Italian cuisine. New place? Didn't see it the last time. Gotta give it a try should I happen to hop over again. U know what, I love the way u put the food in the pic. Its really look yummy and pretty! That is a whole lot of cheese on that pizza! and the Steak Toscano looks so mouth watering!! Will check it out when I go to Mid Valley. The Tour of Italy is very cheesy! Dang, so tempted to try! Will give a check and thanks for the great sharing! I will say yes to the steak too lah. 200g is just nice when one couples it with other items otherwise tak cukup kenyang for me lor. Good deal for the unlimited soup! i thought the soup was like half boiled egg or something..but yea your writing is awesome and your pics is just making us hungry. 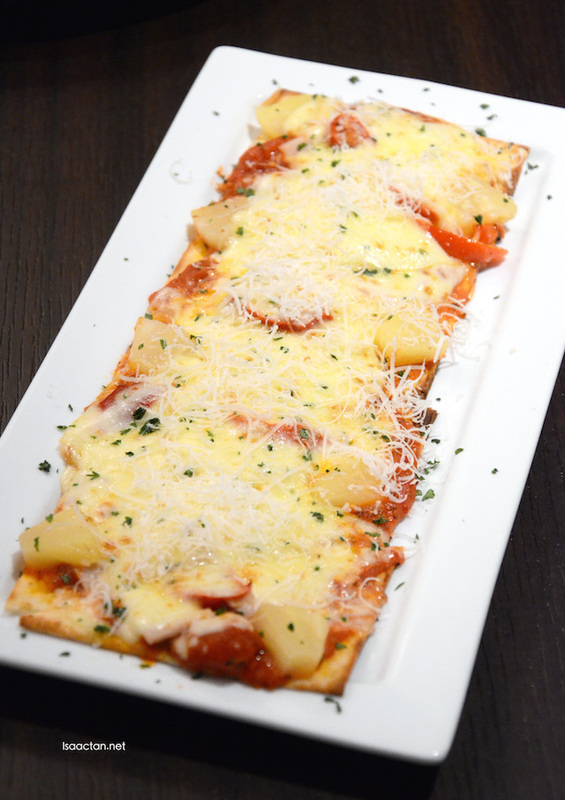 Oh my, that Sicilian Pineapple Flatbread Pizza fully covered with my favorite cheese, super like! Never know this is in MidValley. Should check this out tonight when going to MV. More eats at midvalley! I love how the bread looks ! Fluffy pieces of heaven .. Nomz! I always go Italiannies and never know Mid valley has this restaurant. Will explore this place. The food looks nice and tempting.. Would really wish to try it out! Whoa...looks good. Especially the salad. Topped so generously with cheese. My kinda thing! Italian food also one of my favourite! But I didn't go this restaurant b4. It's a new restaurant?